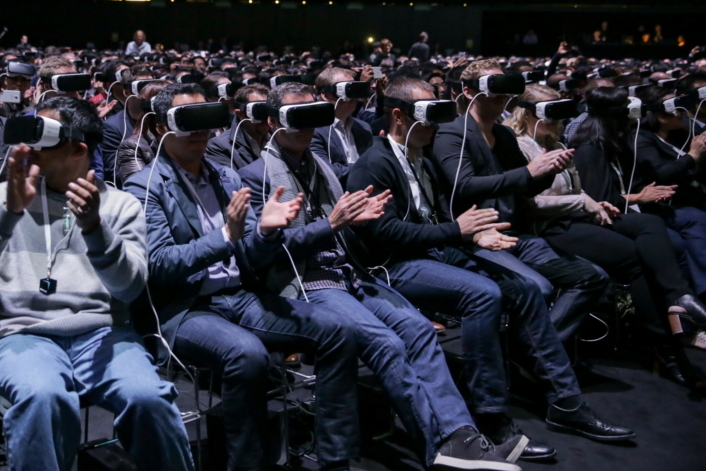 Even event attendees in the rear of the auditorium got an immersive, up-close look at Samsung’s new products, thanks to the more than 5,000 Gear VR headsets that were distributed at the event. 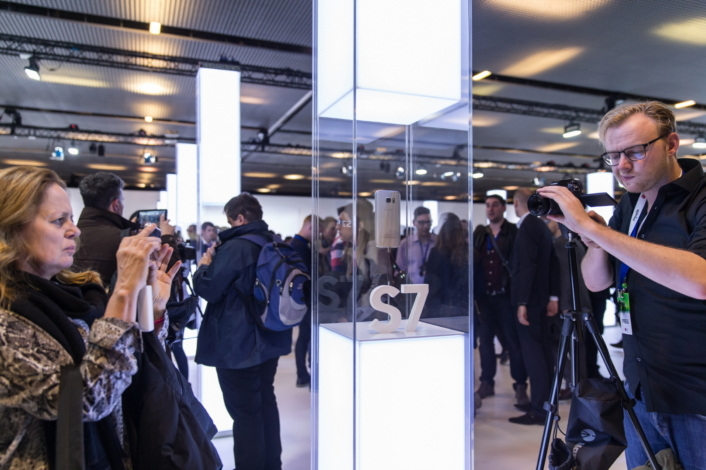 Just ahead of Mobile World Congress 2016, Samsung Electronics made waves in Barcelona with its most immersive Galaxy Unpacked event yet on February 21. 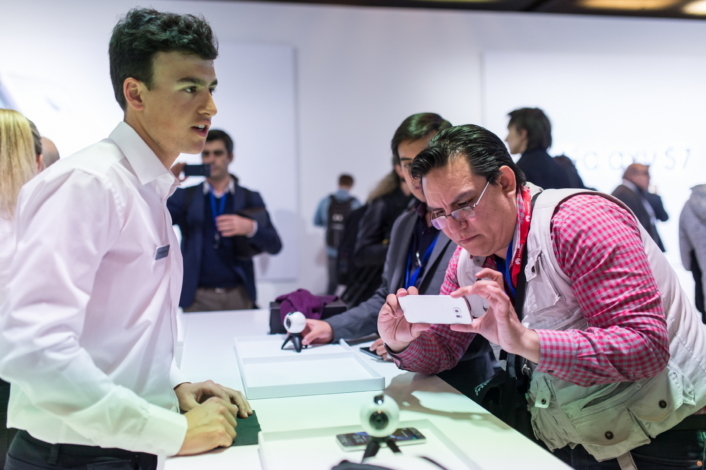 The company rolled out the highly anticipated flagship smartphones, the Galaxy S7 and Galaxy S7 edge, along with the boundary-breaking Gear 360 camera, much to the delight of the thousands in attendance, as well as those live streaming the event from around the world. Held under the theme “Beyond Barriers,” the company showcased its continued efforts to push past limits and journey through the unexplored. Staying true to the theme, the event was centered around a 360-degree square stage that was “unpacked” at the start of the event, when an arrangement of glowing transformative screens hanging above it opened like a box. 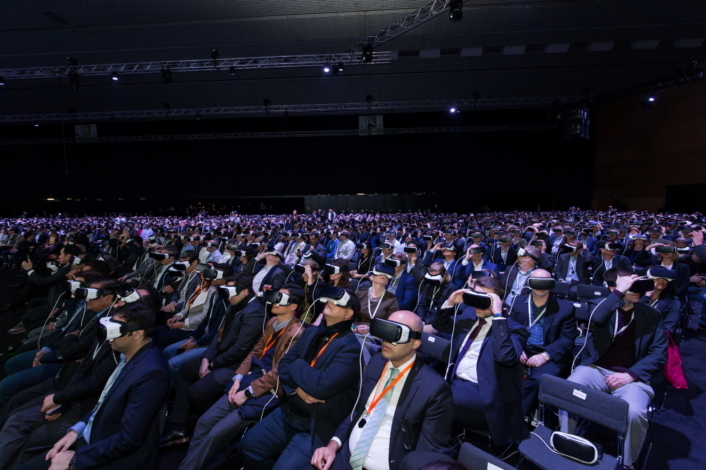 This stunning 3D effect was only enhanced by the more than 5,000 Gear VR headsets that were donned by attendees during new product introductions—a memorable highlight that received cheers from all corners of the auditorium. The event was also the industry’s first to be broadcasted live in virtual reality, making it possible for viewers to get a front-row view of the action from the comfort of their homes. The event began with “Unpacking Samsung,” a video that featured the compelling story behind Samsung’s innovation in the mobile industry. 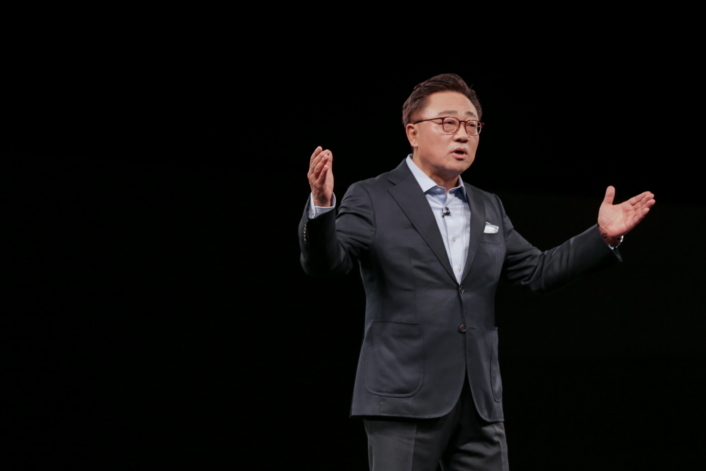 It was followed up by a motivating opening speech by DJ Koh, President of Samsung Electronics Mobile Communications Business, who discussed Samsung’s commitment to developing people-inspired innovation. There were also guest appearances by Facebook CEO Mark Zuckerberg and Tim Sweeney, founder of Epic Games, which demonstrated the company’s strong commitment to the industry. In case you missed it, here is a recap of the highlights in photos. Anticipation builds outside Centre de Convencions Internacional de Barcelona, where attendees await the commencement of Unpacked and the revelation of The Next Galaxy. 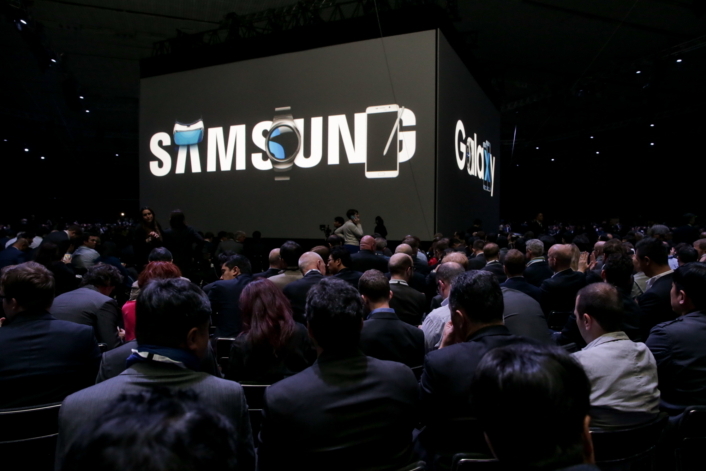 Event attendees gather inside the packed venue around a truly immersive stage before the start of Galaxy Unpacked. 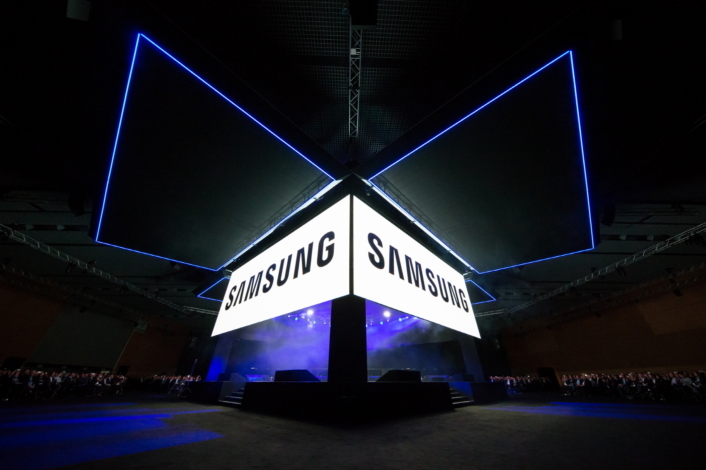 Transformative screens open to unveil the Samsung Galaxy Unpacked 2016 stage. DJ Koh unveils the Galaxy S7 and Galaxy S7 edge, the newest additions to Samsung’s Galaxy S flagship lineup. 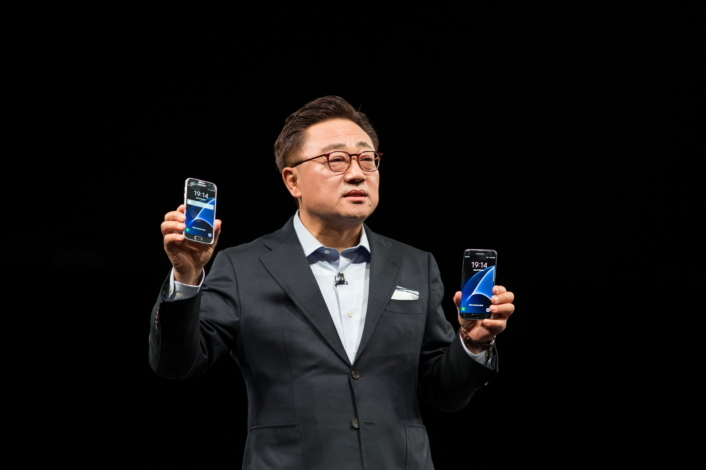 Justin Denison, Vice President and Head of Mobile Products at Samsung Electronics America, discusses the streamlined designs, refined function, advanced cameras and enhanced performance of the new Galaxy S7 and Galaxy S7 edge. 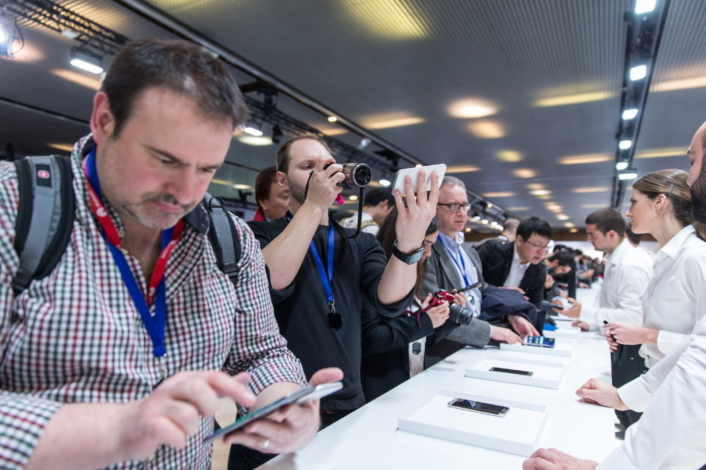 The audience was especially impressed by the devices’ IP68 and expandable memory features, as well as their enhanced camera capabilities. 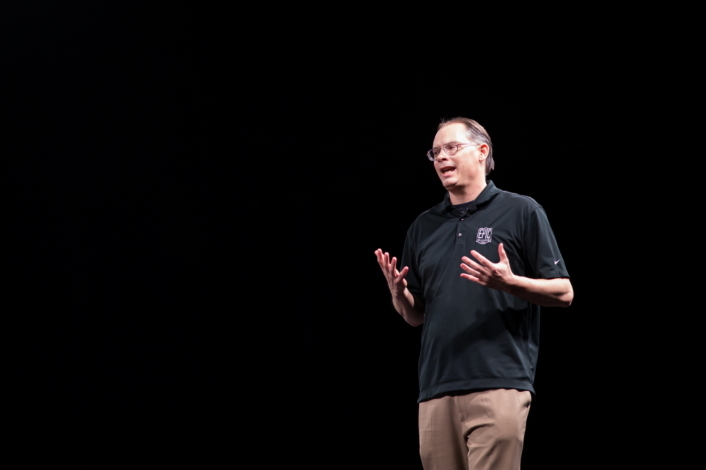 Tim Sweeney, founder of Epic Games and computer game programmer, makes a surprise guest appearance to showcase how Vulkan API is transforming mobile gaming. 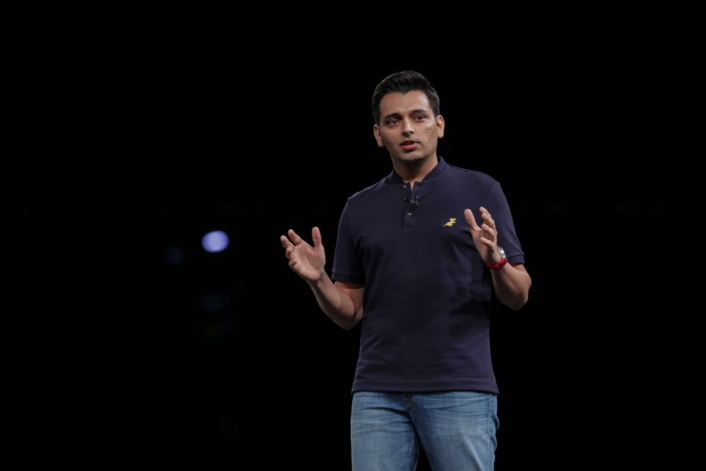 Pranav Mistry, Global Vice President at Samsung Electronics and Head of Think Tank Team, shows off Samsung’s Gear 360, a unique, compact camera that allows consumers to create and share their own 360 degree video content. 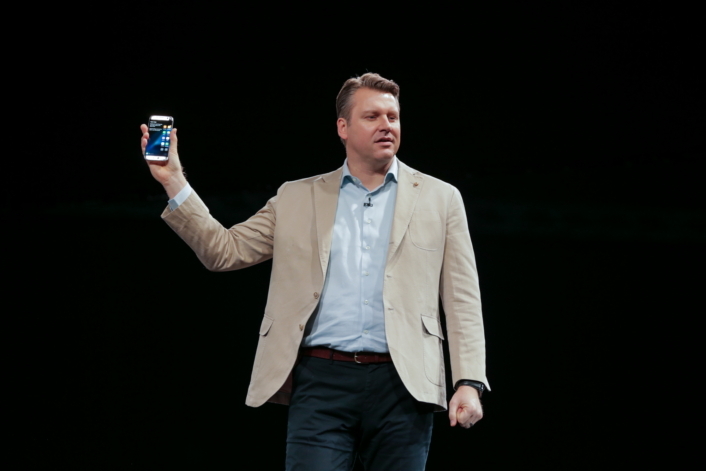 A demonstration of the device was showcased via the provided Gear VR headsets. 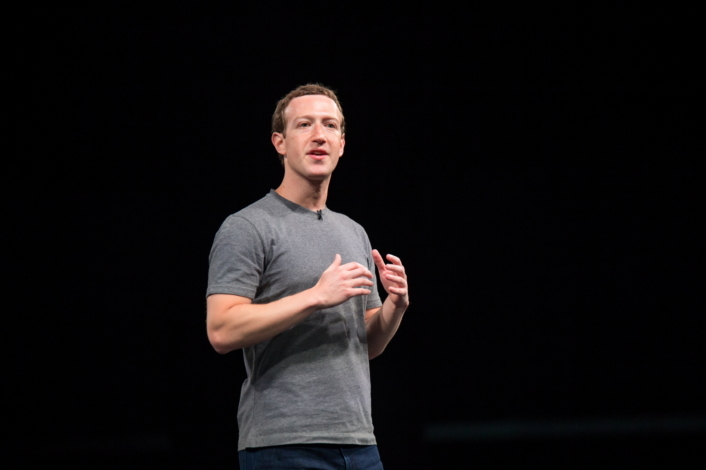 Facebook CEO and guest speaker Mark Zuckerberg explains the vast possibilities of virtual reality and 360-degree video, as well as the company’s partnership with Samsung Electronics. 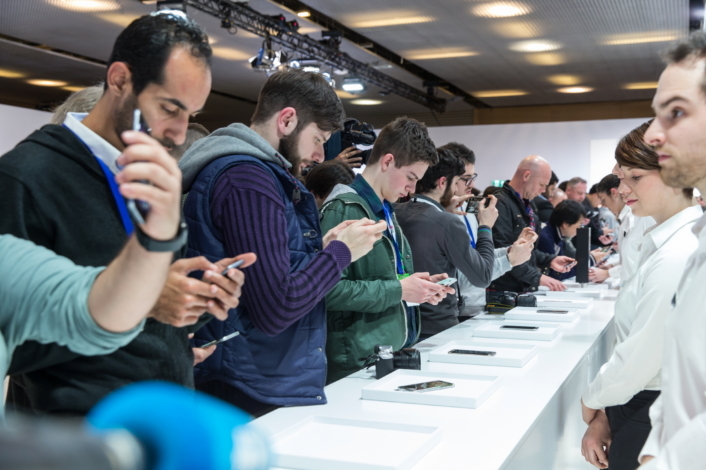 Event attendees get hands-on with Samsung’s just-released products. 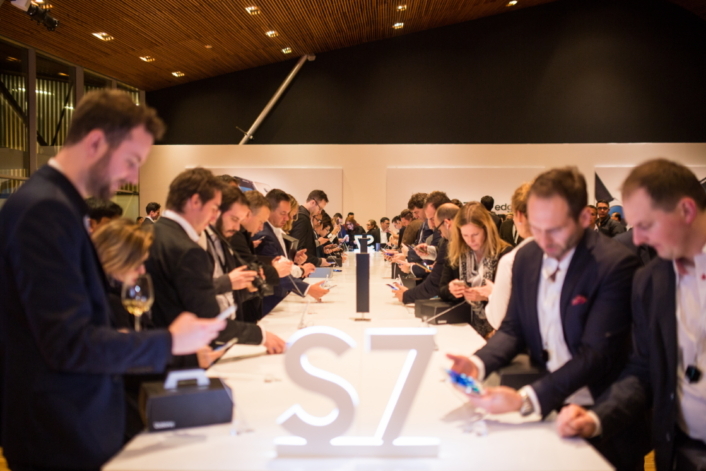 Guests get a first look at the unpacked Galaxy S7 and Galaxy S7 edge in the product experience zone.